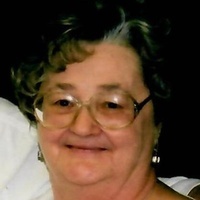 Beverly Elaine Downs, 78, of Burnt Prairie, Illinois, died Monday, December 31, 2018, at Meadowood Nursing Home in Grayville, Illinois. She was born July 28, 1940, in DuQuoin, Illinois, the daughter of Rufus and Clara (Kody) Franks. She was married to James Downs, and he survives. Beverly was a homemaker. She was an avid reader and enjoyed fishing, board games, marbles, and listening to the old-time county and western music. Survivors include her husband, James Downs of Burnt Prairie; sons Jim (Deena) Downs of Albion, Illinois, Jeff Downs of Geff, Illinois, Joe Downs of Burnt Prairie; daughters Marty Ritchie of Bone Gap, Illinois, Cathy (Tim ) Rankin of Grayville; brother Richard (Marsha) Muhr of Florida; sister Barbara Chapman of Fairview Heights, Illinois; grandchildren Timmy, Mandy, Jackque, Katelin, Eric, Johnathan, Anthony, Shaylee, Lauren, Derek, Brandon, Zack, Jeremy, Ashley; and numerous great grandchildren. She is preceded in death by her parents; daughter Barbara Rankin; and two grandchildren. Visitation and funeral are Thursday, January 3, 2018, at Cook Funeral Chapel in Grayville. Visitation is 11 am to 1 pm, with funeral at 1 pm. Burial is in Liberty Cemetery in Burnt Prairie. Memorials may be made to St. Jude’s Children’s Hospital and will be accepted at Cook Funeral Chapel in Grayville.